I love reflexology and in the past I have seen great results using it for a wide range of ailments. 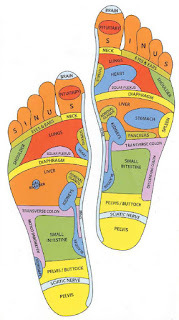 The way that reflexology works is that by working on reflex points in the feet, you are able to treat the entire body. To tell you the truth, if I hadn't seen for myself that it really works I would never believed in it. There is no science or psychology backing it up, it kind of like an proven theory. But still the fact of the matter is it works. 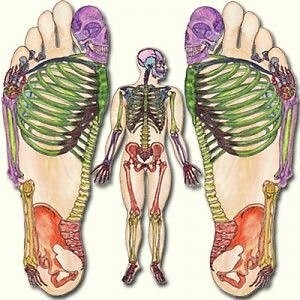 When someone comes in with pain in any part of their body, I can find the tender area in the corresponding points in their feet. And very often when working on those points they can feel it though out their bodies. This is all really cool but what I wanted to talk about is the more holistic aspect of reflexology. Holistically we understand that all of our physical ailments have an emotional cause. Much of the problem with western medicine is the lack of focus on this. We like to think of our bodies like we think of our cars, but our bodies are the house of our soul and are effected by the emotions in way that science is yet to understand. There are two ways to look at the emotional work in reflexology. The one that I will explain is the four element approach. 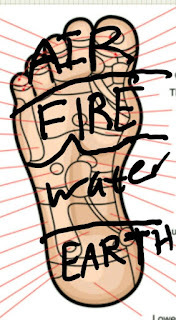 The foot is separated into for zones for the four elements, from top to bottom in the following order. Her is a picture of how it looks on the foot. Each elemental zone corresponds to the emotions of that element. 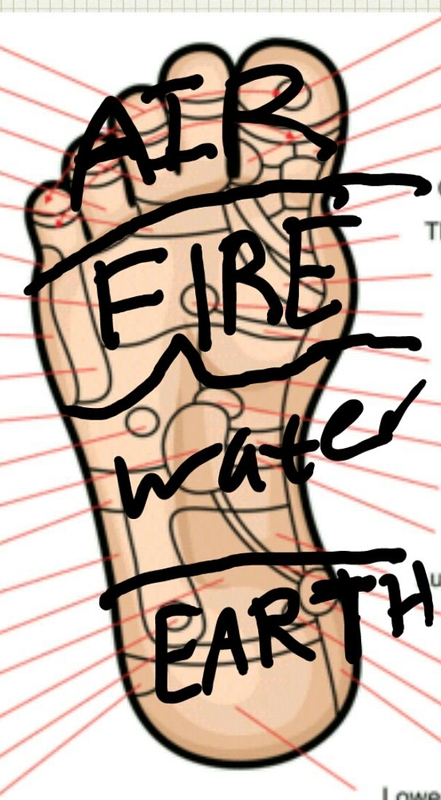 When working on the elements in reflexology we are trying to bring them into balance. Air is connected to thought and also our connection to the realm of the spiritual. Air is light and with out tangible substance, but is still the source of all life. When air is in balance we are able to think clearly, stay focused and control or thoughts. Fire is energy and action, it is also love, hate and anger. Fire can be a burning desire or a hot temper. Water is the emotions of feeling, in a way water is the emotion of emotion. Water is the emotional way we process or life, and the way we process or emotions. It is also our ability to be flexible and adapt to change in our lives. Earth is connected to stability but also to sadness. It's our ability to create good boundaries and stand firm, but it can make us stuck and heavy. It can be an earthen vessel or quick sand. In the end what we need is balance. It feels like we just all gain more weight in the winter time. Some people think it's a way that our bodies insulate to stay warm. In some ways that's true, one of the functions of fatty tissue is insulation. It could also be because we want to hibernate like bears do. But in my opinion neither of these are the case, and even if they are true, here are five tips that may help you to stay trim through the winter this year. In my opinion the reasons people gain weight during the winter are very simple. We eat more, and we move less. That's always why we gain weight. But here are a few points that you may not have thought about in the past. Who knows, maybe this will help you keep those extra pounds off when it’s to cold outside to go for your daily run. Drinking more water is always a good idea. That's why drinking more water is one of my seven healthy habits for staying healthy and fit. The thing is that in the winter time we drink less water because we don’t feel hit like we do when is warm outside. Water helps us to feel full while not adding any calories to our diet. So if you don't drink as much water you may feel hungry more often. Just make sure to drink at least eight chips of water a day, and at least that part of the problem will be solved. Eat fresh vegetables and less/no fried foods. When it's cold outside we tend to prefer hot foods. The thing we have to watch out for its not to choose warm foods that are high in calories and law in fiber. Also people tend to eat less fresh fruits and vegetables during the winter for the same reason. The problem is that fresh fruits and vegetables contain enzymes that aid in good digestion. Good digestion means a more efficient brake down of foods and less unnecessary storing of calories as fast cells. Yes, when it’s cold, rainy and snowing out, you can't go jogging. So what I say is make sure you are doing more pushups and sit ups. Or get a treadmill, and whatever works for you. What's important is to make sure that you are getting that extra indoor exercise to make up for what your not doing outside. Of course we all take advantage of good weather. The question is do you do that by getting out there for a two hour jog, or to go fishing? You can go fishing, just make sure to run before hand. Better yet, find a great fishing spot that you need to hike a few miles to get to. Whatever it is, make sure to get more outdoor exercise in when you are blessed with those nice days in the middle of the winter. Also, when you do get the chance do more than you would in the summer because you need to make up for all those snow days. The fresh air and sunshine will do you good also. Speaking about sunlight, the lack of sunlight during the winter months causes some people to suffer from winter depression. And this can cause people to eat more. Which brings me too my fifth and final tip. 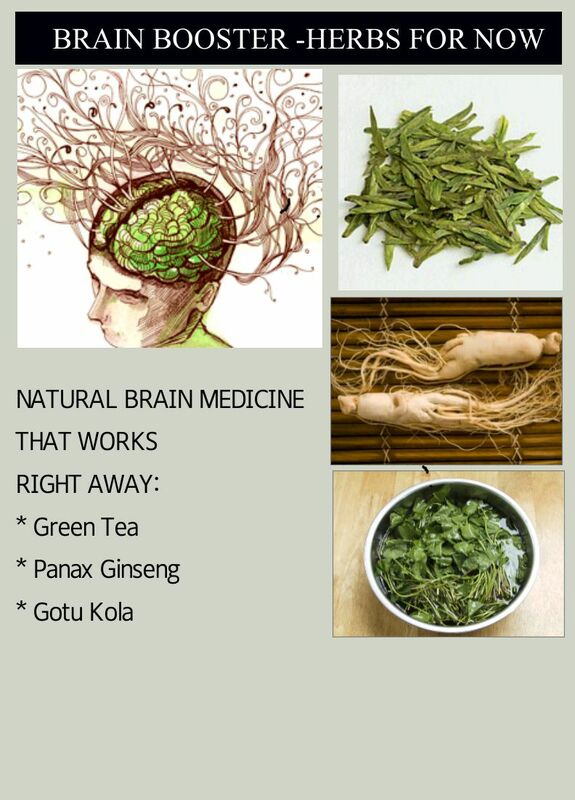 Use herbs that help to decrease depression. You may not feel depressed, but there is a good chance that we are all not as happy in the winter. This is probably because of the longer nights and shorter days. Like I said less sun less happy, at least for most of us. And when we are feeling unhappy we tend to eat more. By taking herbs that improve our mood, we can perhaps stop ourselves from eating that extra piece of cake. So these are my five Tips. It's not a magic formula or top secret plan, but some times it’s the little changes that can make the big difference. When I was studying naturopathy we needed to take two semesters of Chinese medicine. The fact that the entire way that they view the world is so different from how we see things in the west was amazing to me. I must admit that I am sorry that I haven't done much to preserve that knowledge, and I don't remember it well. 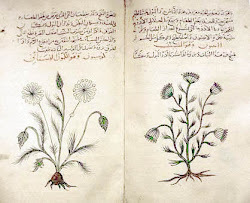 Just recently I started going through a book called “the energetics of western herbs”. Actually it is a two book series explaining the Chinese way of seeing the medicinal functions of western herbal medicines. I am sure that I will find a lot more to share with you from these books but today I feel it appropriate to start with oregano. First off, oregano is a great therapeutic herb that most of us already have in our house. I never use dry oregano spice for medicinal purposes, I will always at least use a fresh herb if I am not buying medicinal grade oregano. But with that said even what you have in your spice cabinet can be used medicinally. 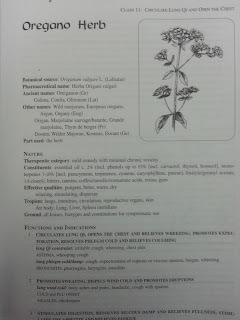 What is very interesting is that oregano is classified in Chinese medicine as a draining herb. From what I understood, the idea of a draining is that it causes the movement of Qi. 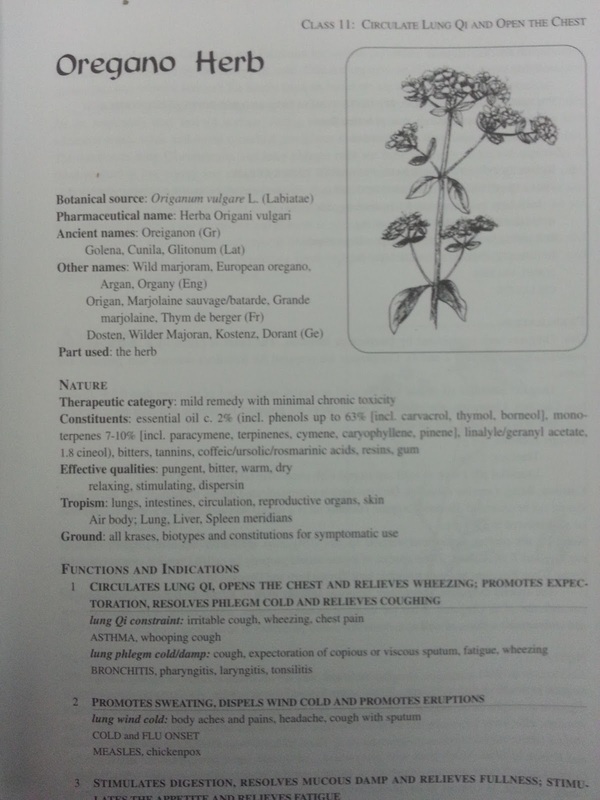 More specifically oregano is right to promote the circulation of lung Qi and help to open the chest. This goes in accordance with what we know from Western herbal medicine that oregano, more specifically oregano oil is helpful in the treatment of upper respiratory tract issues. In the east, they would say that you can use oregano to treat lung Qi constraint, and cold and dampness (phlegm) in the lungs. The way that they see it is, good health is the balanced flow of Qi in the body. Pain, inflammation and infection are caused by a stagnation of the Qi in the body. If you don't understand what Qi is then you should just watch stare wars. Qi is the eastern understanding of the FORCE. At least that's the way that I see it. In western herbal medicine oregano oil is very popular for the treatment of intestinal parasites. But because the herb contains a high percentage of essential oils (about 2%) the use of the herb itself could be useful as well. Also because of the high level of essential oils oregano should be very effective for helping to clear the lung while working as an expectorant. The antimicrobial effects of oregano are one of the reasons it is one of the herbs used in the four thieves vinegar. Hours of studying can make a person hungry. Add to that a few cups of coffee and a bunch more to study, new we are talking about a need for real motivation. But there must be some kind of natural solutions for this problem. This is what just happened to me. I was pouring over set theory mathematics for over two hours when I got hungry. I ate a full avocado plain with a spoon. Now if you look around the Internet you can find that avocados are a real brain food, but are they going to do the trick for me right now? Allot of the so called brain foods are things that are only going to help you out if you make them part of your diet for some time. But what natural medicine can you use to help you get the job done right now? That's exactly the question I was asking myself when I swallowed the last spoonful of avocado this evening. There are a number of supplements that are made to help boost your brain power right away, but that's not what I was looking for, my thought was what plant can I get my hands on now that will help me finish this up. None of this was new to me, it's just that times you need to ask yourself the question in order to get the answer. 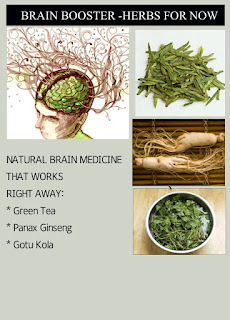 And without getting into details I am just going to give you a list of four plants that you can use to boost your brain power now. And then I have one more for you, but because it's expensive and really needs to be cooked, I’ll put it separately. Now the great thing about all these is they can help you out right away. But in the end the best natural medicine for concentration, is motivation. I really like that one! The best natural medicine for concentration is motivation. 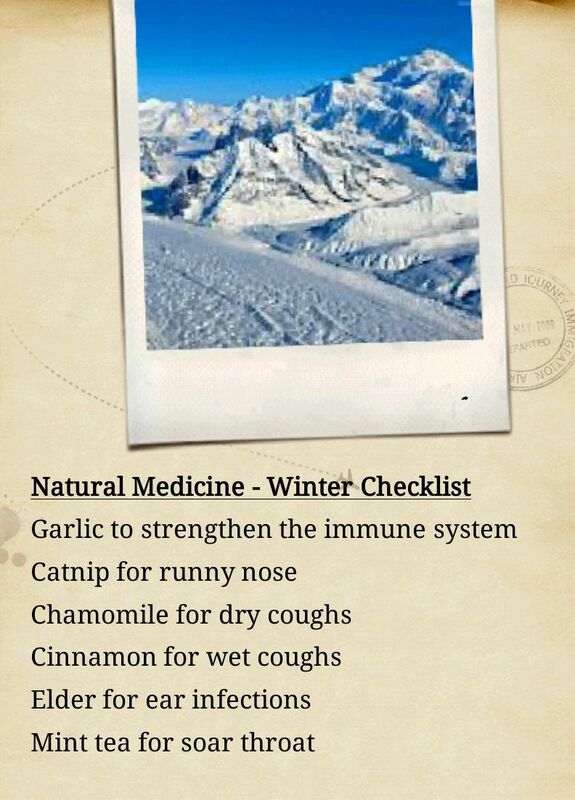 I have written about different things that can be used to stay healthy in the winter. 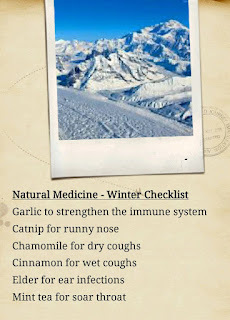 What I want to try to do here is to create a compilation of all the different ways we can use natural medicine to help avoid and treat common winter illnesses. I am not going to try and explain the different causes of increases of specific ailments in the winter months, but just give you a overview of what can be done to treat them. Let us start with the basic runny nose. It is my belief that if you start to treat at the first signs of a runny nose, you may very well avoid the bigger problems like sinusitis and bronchitis. When we speak about strengthening the immune system we need to be a bit more specific and point out that what we want to do is regulate the immune system just in case the runny nose is being caused by allergies, which is an over stimulation of the immune system. Instead of getting all technical let me just tell you the things I do. To strengthen the immune system, this is what I do. Eating garlic is one of my favorites because it also helps to regulate mucus secretion. I want to mention again the importance of treating symptoms as early on as possible. If you wait until you need antibiotics, then it will be difficult to treat with natural medicine. So start using these things as soon as you stay getting a runny nose or start feeling nasal congestion. Oh and I almost forgot about essential oils. Lavender and eucalyptus oils are great for helping treat nasal congestion and also coughs. Simply put a few drops in your hands, rub then together and inhale the oils through your nose. If you can do steam inhalation even better. All you need is a bowl of streaming water, a towel, and the oils. Put a few drops of oil in the water, put your face over the bowl, cover your head and the bowl with the towel and inhale deeply. Be careful though eucalyptus oil is very strong. If you are already congested to the point where you can't breath through your nose, try using horseradish along with everything else to try and open things up. I have had great success using Wasabi, just because I can't always get fresh horseradish in the supermarket. As I said this is also good for treating coughs, so let's get right into coughs while we are on the topic. First of start with everything I mentioned for strengthening the immune system. Now we need to get into what kind of cough you have and see how we go about treating it. Dry hacking coughs need to be treated with anti spasmodic herbs like sage, linden, chamomile, yarrow, catnip, lavender. Also you want to take herbs that with increase mucus so that the lungs can clean themselves out. Also make sure you are drinking enough water and that you are not breathing dry air all the time. Sleeping with a humidifier is also great when treating dry coughs. Very wet coughs should be treated with expectorant herbs like garlic, cinnamon and eucalyptus. Elder is said to be a lung tonic herb and is great for all kinds of coughs. The last thing I would put on my list would be ear infections. I feel like only kids get ear infections but I know that that's not true. The bottom line is that ear infections are just another outcome of an infection of the upper respiratory tract. But most of the time from what I have seen ear infections are the result of not treating other symptoms earlier on. Here is a simple but very effective formula for treating all of the above winter ailments including ear infections. Make a strong tea and drink five times a day. For ear infections you can also use garlic oil, and apply it typically to the inside of the ear. To make a garlic oil simply heat up some fresh crushed garlic in olive oil, but make sure not to fry it. Let it cool and use a q tip to apply to the inside of the ear. I almost forgot about strep throat. Strengthen the immune system and use herbal candies like Ricolas. Also mint teas are great for soothing a sore and itchy throat. The second that I start to feel an itch in my throat I start to treat it like a strep. I think that covers it all, did I miss anything? Smoking is bad for your health, no matter what it is that you are smoking. With that said, I know that a lot of people have a tuff time quitting and for some nicotine free herbal smoking blends are a great help. I would never suggest them as a full time smoking solution but as a step towards quitting. A good friend of mine changed to one of those new electronic cigarettes, and grew swears by them. He was able to go from two packs a day to nothing more than the electric cigarettes. The question if the electric cigarette is really healthier is in my opinion a no brainer, but lots of people don't agree. Webmd.com is a reliable source of medical information on the Web and what they say about e-cigarette smoking is supportive to my opinion. I would even say that they are a better choice than a herbal smoking blend. But for some people the feel of real fire at you dinner tips is hard to give up. 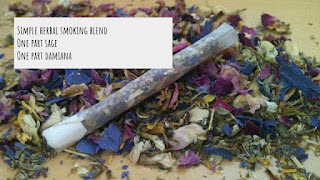 So for those of you who want to kick the nicotine habit but can't get away from the real smoke, here is a simple herbal blend that makes a enjoyable nicotine free smoke. Small cuts and scrapes happen all the time. For the must part they don't require any treatment arty all. Just make sure to clean them well and bandage so that they don't get infected, and you should be just fine. But if you want to help stop the bleeding and prevent infections from happening, you have a number of natural choices to help with just that. The most common choice is lavender oil. You can pick up a bottle at any pharmacy. You can put the oil directly on an open cut. Another choice you can use is aloe Vera. Aloe is a super easy to grow cactus, and it's sticky juice is great for almost all skin problems. Just break off a thick leaf and apply the juice to the cut. 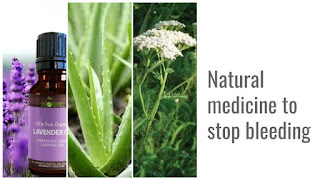 Here is a great first aid herbal formula to help stop bleeding. Grind into a powder equal part of the following herbs: yarrow leaf, calendula petals, and echinacea leaf. When needed sprinkle the powder directly on the open wound to help stop the bleeding. Obviously this shouldn’t be your plan for serious bleeding but it’s a great fix for all basic cuts.